Convert DBX to TXT automatically. 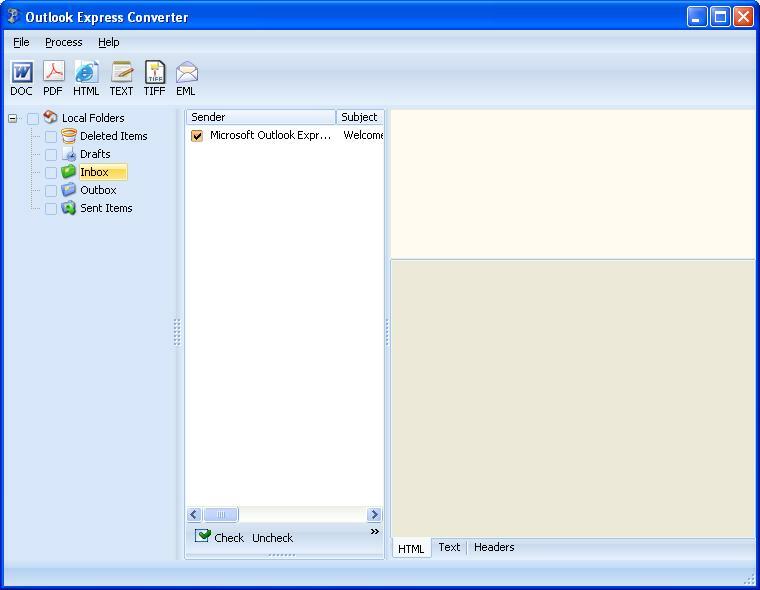 You are here: CoolUtils > Total Outlook Express Converter > Convert DBX to TXT automatically. How to Convert DBX to TXT? If you are the one who uses Outlook Express and receives tons of e-mails, you certainly know that the program does not provide users with unlimited mailbox space. This means that e-mails either have to be deleted forever or saved into another format and deleted. Certainly, there is absolutely nothing extraordinary in copying and pasting the e-mails, except for the fact that it takes hours or even days. 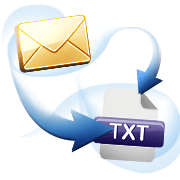 However, if you don’t want to waste your time on this, you should be looking for tool that would automatically export your e-mails to another format recognized by applications other than e-mail clients. 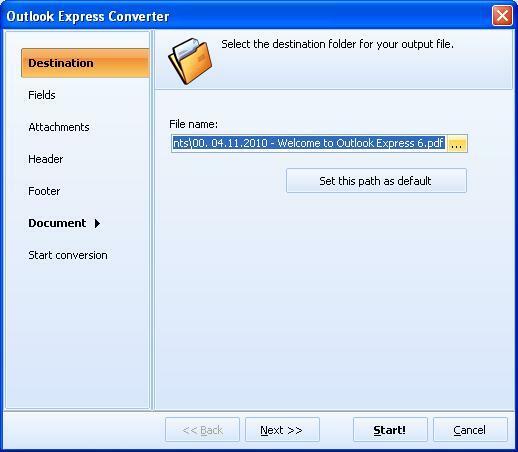 convert e-mails and folders created by Outlook Express into HTML, PDF, DOC, TXT, TIFF. If you want to make additional settings, for example, to specify the fields you want and do not want to export, to manage the attachments, and more, you can visit the official website of CoolUtils for a free screenshots tutorial. 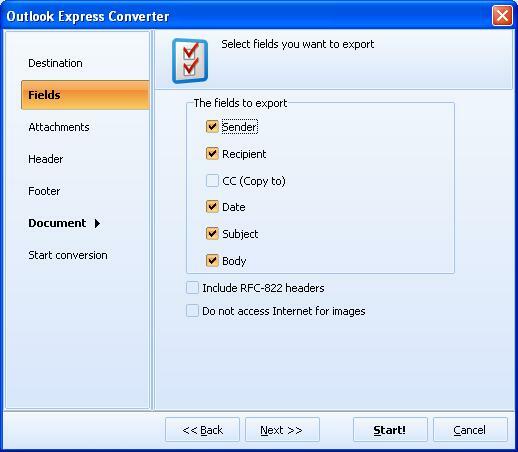 To try Total Outlook Express Converter before buying it, get your free trial version now! Use it for 30 days to experience the truly high quality of DBX to TXT conversion! Get DBX Converter with an user-friendly interface!